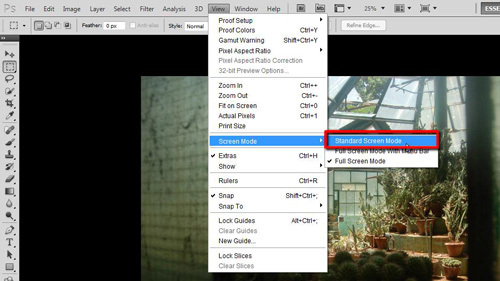 Using full screen mode in Photoshop is useful if you want to make your image editing area larger. This tutorial is going to show you how to exit photoshop full screen mode once you have finished editing. 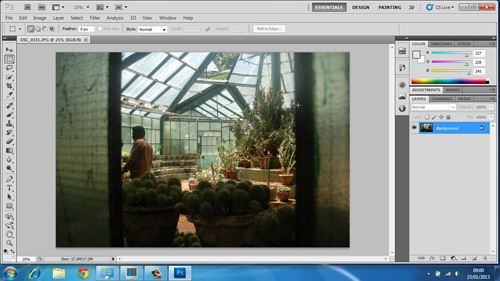 First of all, let’s make our Photoshop window full screen. In the main toolbar click “View” then navigate to “Screen Mode” and click on “Full Screen Mode”. In the dialog box that appears click “Full Screen” and Photoshop will now take up your entire screen. To go back to the normal settings you need to make the menus visible, you can do this by pressing the “tab” key on your keyboard. 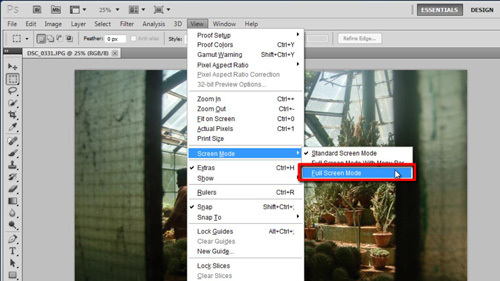 Now click on “View”, navigate to “Screen Mode” and click “Standard Screen Mode” – this will return your Photoshop window to the normal size and that is how to exit photoshop full screen mode. There is a quicker way to exit full screen mode, let’s quickly return to full screen view. Now, you can simply press the “Escape” button on your keyboard to return to the standard screen size.